San Antonio is plenty romantic (just go with it); we’ve got the River Walk, the Pearl, and idyllic neighborhoods with treelined streets that beg to be explored. There’s nothing wrong with dates at these local staples, but if you’re looking to spice things up, the Alamo City has more options for you. These 19 date ideas will get you on the right track. 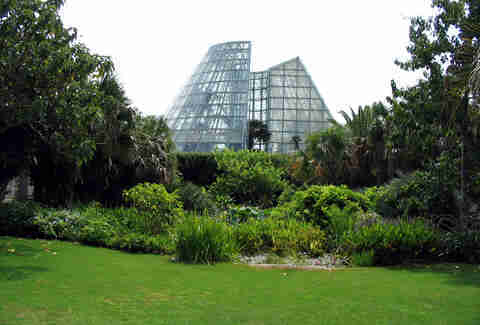 The perfect brunch date is actually inside the city’s botanical garden. If the two of you had a long night, pack a basket full of your favorite hangover foods (barbacoa & Big Red) and a blanket, and set up shop on one of the park's grassy knolls. Step One: Pour a tall glass of that delicious elixir called Big Red. Step Two: Drink it. Step Three: Soak in your wondrous surroundings. It might be next to a gas station, but Thai Dee rules. For a cheap, romantic meal it can’t be beat. Bring a bottle of wine (BYOB ALERT) and bond with your date over a sizzling plate of Angry Ocean -- a stir-fried seafood combination with lemongrass and hot peppers. It gets crowded on weekends, so make sure to show up at least 20 minutes early to get your name on the list. San Antonians have impressed or embarrassed their dates here since 1929, so there's hope for us too -- right? The courses here are shaded, prices are reasonable ($9 for adults), and the snacks are delicious (by minigolf standards). Just don't fight about ball color, and you'll be fine. 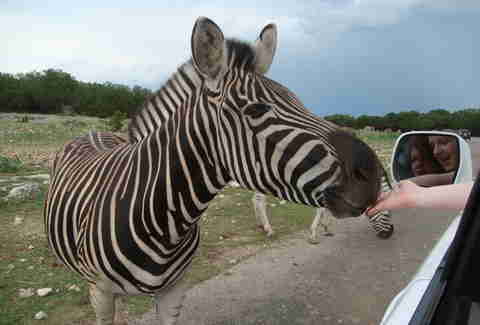 It’s a 30-minute drive, but on the plus side, there are zebras! For $40, you and your date can stare an ostrich down and explore over 400 acres of rolling hills, creek beds, and protected animal populations from the comfort of your vehicle. If that’s not a good date, then nothing is. Beer, fried pickle spears, and a movie in reclining leather seats? That's what the Alamo Drafthouse can do for you. If you need a date that's a bit more interactive, check the place out during one of its special events -- like the infamous Beyoncé Sing Along. 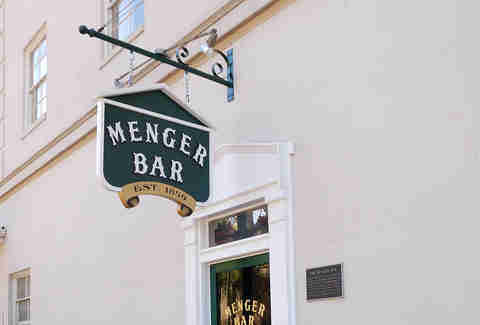 The Menger is the oldest continuously operated saloon in San Antonio and an underrated date location. So knock a few back in this dark, bullet-riddled bar with your date and impress them with Texas history. Maybe you can catch a horse-drawn carriage afterwards. For real. The only thing more impressive than cooking for your date? 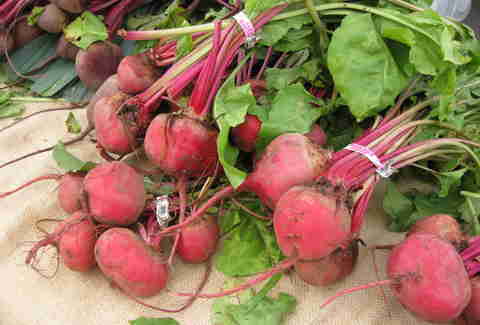 Explaining the intricate differences between chard and kale. Open weekends, the Pearl Farmers Market showcases local food and provides ample opportunity to wow your steady. Show your date how cultured you are and buy two tickets to a show at the best theater in Central Texas. You may have missed Bob Dylan, but quality acts always find their way here. 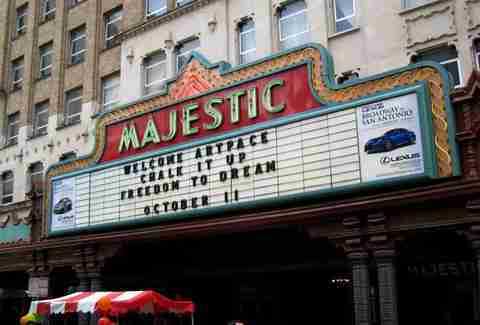 Make sure to arrive 30 minutes early so you can grab drinks and calm down from the exhilaration that sets in once you enter Majestic Theatre. Don’t listen to what your friends say about TOA. 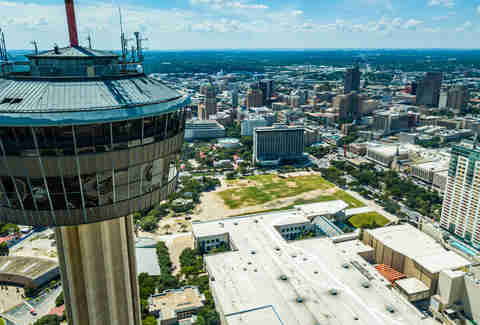 Levitating 622ft in a glass elevator so that you can drink and take in an aerial view of SA is a good date. Sure, it’s a bit expensive, but if you go during happy hour, cocktails are only $6. After happy hour, make sure to take glamour shots in the first floor lobby. Get some drinks at La Margarita and buy pottery or a belt or a Spurs shirt for your date at Market Square. Pro tip: buy some cascarones on the sly and crush them on your unsuspecting date’s head! 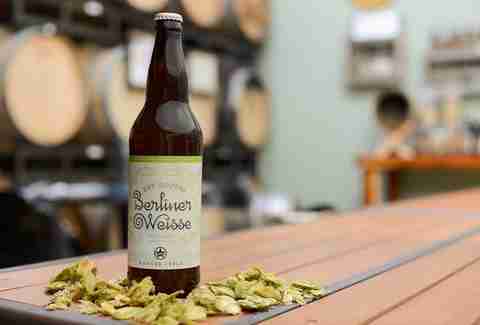 A brewstillery sounds like a Dr. Seuss character but you need to brace yourself, the real thing is more magical. The guys at Ranger Creek distill award-winning whiskey and brew delicious beer on-site and are open for tastings every Saturday from 5-9pm. Go have a magical date. Best during popular festivals like Fiesta, B-cycle is a great way to navigate Downtown without a car. Get some bikes and drag race each other down South Alamo Street. First to make it to La Tuna gets a free meal and a refreshment! 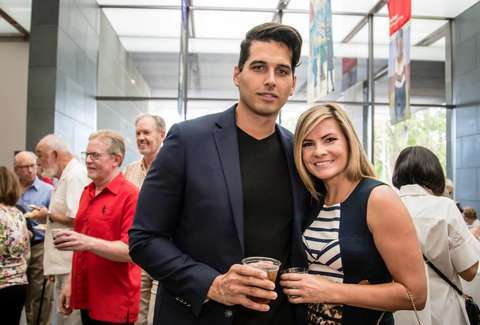 You know the McNay, but you don’t really know it until you attend Second Thursdays. Each event features a local band, food from SA food trucks, and beer. After you guys down a few, catch a free docent-led tour of the facilities and finish the evening professing your love to each other. 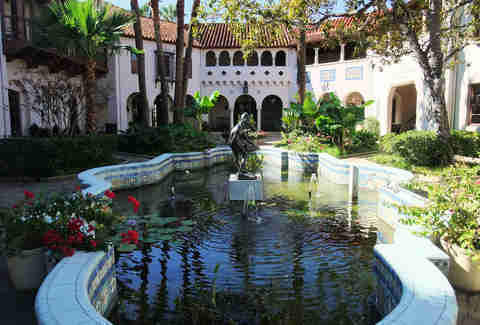 Sometimes you need a reason to walk through one of the Alamo City’s most beautiful neighborhoods. Occurring every first Friday of the month (duh), FF showcases local art, food, and live music. If you haven’t fallen in love after FF, then you should probably reactivate your Tinder account. 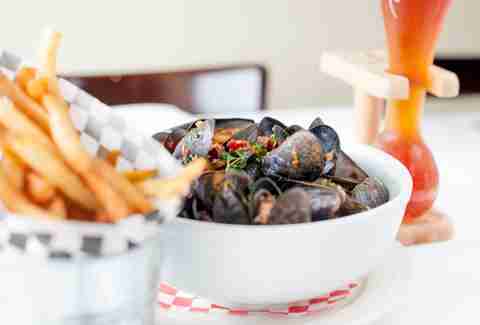 Located in King William, La Frite and its mussels rival some of the best you'll find without going abroad. Touting a diverse menu, the restaurant excels at traditional, cream-based sauces, as well as more creative offerings like the red curry & coconut sauce. Check it out after sundown, when the candlelit tables create an even more intimate, date-like setting -- if there's a wait, which there often is, order a bottle of wine and camp out at the bar. Yes, you're both reasonable human beings who don't believe in the supernatural, but San Antonio lays claim to a few ghastly tales worthy of exploration. Sisters Grimm offers a few different spooky tour options, like the Ghost Walk and a ghostly dinner package, but you'll want to go for the Ghost Bus: it's the only tour that's adults-only. If you both make it unscathed through an encounter with the paranormal -- or at the very least, an encounter with paranormal buffs -- you're destined for marriage.